The American Academy of Periodontology recommends that adults should obtain a comprehensive periodontal health evaluation annually. After gathering pertinent information regarding periodontal health, our periodontist will evaluate the results, and provide any necessary treatments. Research has indicated that the number of individuals in the United States infected with periodontal disease is significantly higher than originally projected. Adults are recommended to receive annual CPEs in order to detect, treat, and prevent periodontal disease. Annual assessments will allow our periodontist to monitor the development and progress of periodontal disease. Early intervention is the key to preventing the damaging effects of periodontal disease. Patients who suffer from chronic illnesses such as diabetes, cardiovascular disease, and respiratory diseases are urged to undergo annual CPEs, since these systemic diseases have been proven to be a risk factor for developing periodontal disease. 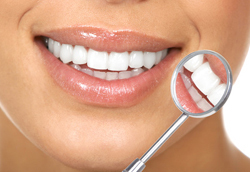 Contact our office to schedule a Comprehensive Periodontal Evaluation.